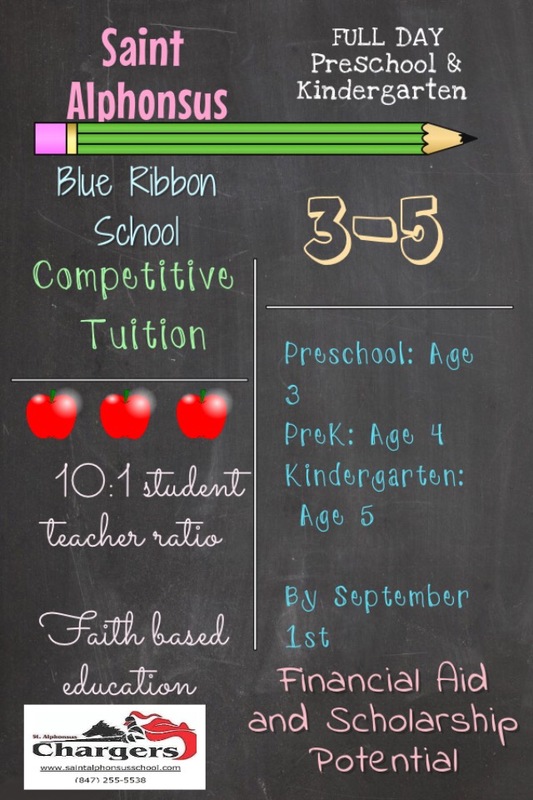 The all day preschool does have the option of choosing a 10 or 12 month payment plan from July 1 through June 1. The above monthly payments reflect the 10 month plan from August through May. To qualify for In Parish tuition rates a family must be registered in the Parish and attend Mass on a regular basis, be active in Parish life by participating in Parish and school activities, and support Saint Alphonsus Parish by contributing at least $20 per week in Sunday contributor envelopes. Saint Edna, Saint Joseph the Worker, and Saint Thomas Becket contributing parishioners of record shall pay the In Parish tuition rates. Families must obtain a tuition subsidy letter from their pastor before August 1. This letter must be presented to Saint Alphonsus prior to August 1 to qualify for the In Parish tuition rate. EDC registration and pricing: A $30.00 non-refundable registration fee is required for each child. Before school care from 7:00 A.M.-7:30 A.M. is $10.00 per week per family. After school care from 2:15 P.M.-6:00 P.M. is $5.00 per hour for one child, $8.00 per hour for two children, $10.00 per hour for three children. $5.00 per minute per child late fee is charged for pickup after 6:00 P.M.
EDC is billed through the FACTS tuition management program every two weeks.